I’m torn. On one hand, I’ve never been the sort of person to trash a company in public, but on the other hand I want others to be aware of companies that form borderline abusive relationships with clients whose livelihoods they hold in their digital hands. I am so glad to have broken free of blog.com and I am appalled by they way they treat their customers. I didn’t want to leave, but I didn’t have a choice if I wanted to protect my content and my ability to continue to do what I love. I would strongly recommend NOT using them as a host, and instead using wordpress.com or even better, using wordpress.org as a self hosted site. If none of that made sense to you, Julie at Burnt Carrots has a great How To Start A Blog post that can clear some of that up. If you need more evidence, other than my desperate pleas, that blog.com is horrific you can ask this guy or this girl. I feel better. And I will be eternally grateful to my friend Andrew of Eating Rules who helped me switch both of my blogs to self hosted wordpress sites. He has a company called Blog Tutor who does that sort of thing. A tech guy who is also a food blogger, who else would I have used? On a lighter note, I booked my first TV gig! I was contacted through my other blog, The Beeroness to do a live Cooking With Beer demo on TV in Los Angeles on August 31t! I’ll update you will more information once that date gets closer. I’m so glad you all let me get that off my chest and now we can truly appreciate the magic of roasted potato salad. It is very possible that I am one of the only people in this world that has issues with boiled potatoes. Most of the time I seem to over boil them into a near mushy state with my lack of long term attention abilities. And the water washes away a lot of that great starch that we love so much about potates. Roasting helps me to fix both of those issues, it’s more forgiving with the time and it expands the flavors instead of removing them. And I added duck fat. I bough it at Sur La Table and a little goes a long way. I made this twice in one week, it’s really great. By far the best potato salad I have ever made. Place the potatoes on a baking sheet, toss with duck fat. Roast in the oven at 425 for 10 minutes, toss/stir potatoes and roast for an additional 8-10 minutes or until potatoes are fork tender, remove from the oven. In a bowl add the remaining ingredients, add the potatoes and toss to coat. Serve warm. I want to make a home in a bowl of this – holy geez, I’m in love. And I’m so glad you found a good hosting company! What a relief after such a mess. Hooray for food blogging techies! This sounds so incredible Jackie. Must try out some duck fat. And love that you finally got switched over, hopefully no more issues for you!! Duck fat roasted potatoes sound so decadent and then you add bacon for perfection! Congratulations on the TV gig! 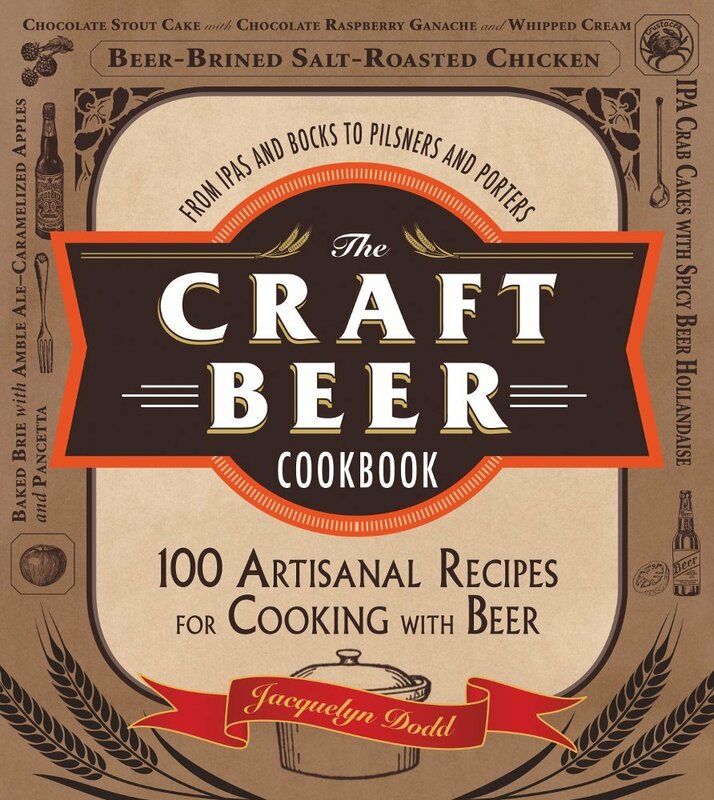 So exciting….and I do love your blog, The Beeroness. And focusing on the salad now…duck fat with potatoes?! Yes please! eek, it sounds like blog.com was not a great fit – so glad you successfully switched elsewhere. and this potato salad? looks absolutely amazing! I am formally applying to be your house person. I will be there soon. I will wash your potatoes, your windows, your floors, your walls, (not your toilet), your dishes, and your car(s). You won’t even know I’m there except that your house will be really, really clean and your potato salad will be gone. P.S. I have lots of cleaning and eating experience. References provided upon request. Duck fat? DUCK FAT? Are you kidding me? Brilliant! And here I have been piddling around with bacon fat all these years. Duck fat. Also, do you have any leftovers? Because this looks ahhhh-mazing! I seriously feel like “free” is the best word. I can’t believe how bad it was until I’m out from under it. And I am SO thankful that I bought my domain from GoDaddy. The only reason I did was because I had an existing account and wanted to keep all of my domain in the same place. I can’t believe that they KEEP the domains that people buy. You own it and they still won’t let it go. To me that’s like stealing. Basically, even though you bought it, they are treating you like a renter. LIke you are renting the domain. If you own it, it should be yours, not theirs. I’m glad you got yourself settled in with a more reliable host. Congrats on the TV gig! I’m so jealous! 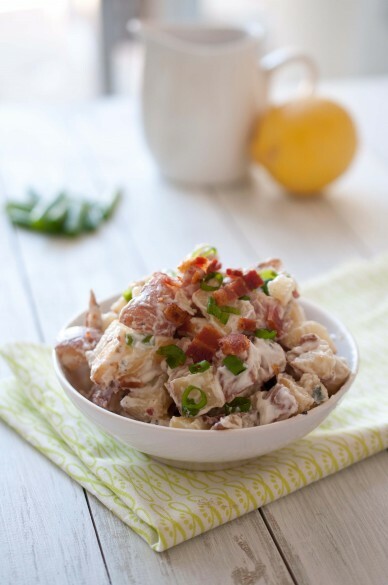 This truly is the ultimate potato salad. I don’t think it gets better than this. Oh man, I have so many things to address here! 1. Congrats on the tv gig! So proud of you! 2. 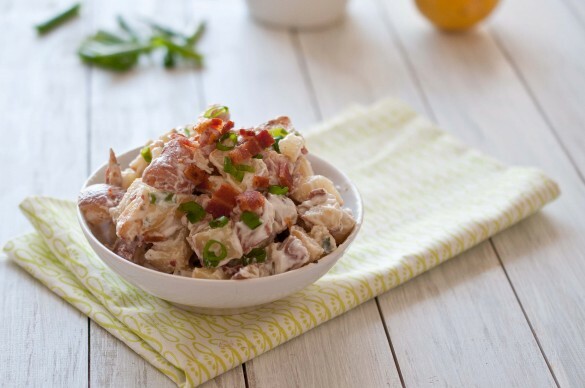 This is definitely the best potato salad ever. 3. I hate boiling potatoes too. 4. I’m definitely heading to sur la table for that duck fat! I’m a huge fan and I really really really want to try out this recipe but there are a few items on this recipe that are missing measurements, well really just the pepper and the blue cheese dressing. I just want to know if i should use 2/3 of a cup of blue cheese dressing, or if its a smaller measure like tablespoons. Erin, you’re so sweet! Thanks for letting me know. I updated the recipe. Yes, it was 2/3 cup, not sure how I managed to do that! Hi there, I love the idea of roasted potatoes instead of boiled ones.